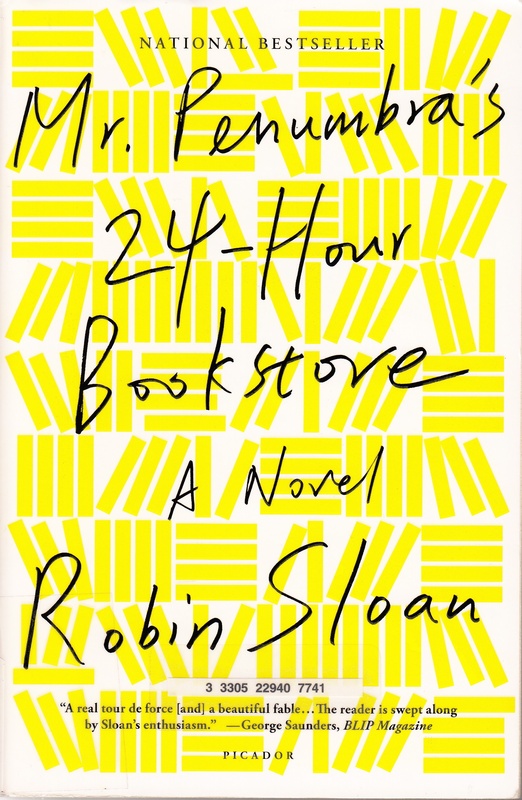 Mr Penumbra’s 24-Hour Bookstore is about a secret society that is trying to solve an algorithm without a computer. What happens when you bring a computer to bear on the problem? In fact, given that this story takes place in San Francisco and near Silicon Valley, what happens when you let Google’s geniuses and computing power at the problem? Well, this book tries to answer that, all while commenting on life in the SF Bay Area. It’s not a great book. I read it for book club; the more we tried to analyze it, the more we realized its flaws. It’s not Great Literature, but it did manage to keep the mystery going long enough to be entertaining. Not to mention, it did a decent job of having fun with Silicon Valley stereotypes. Sometimes, that’s exactly what you want.